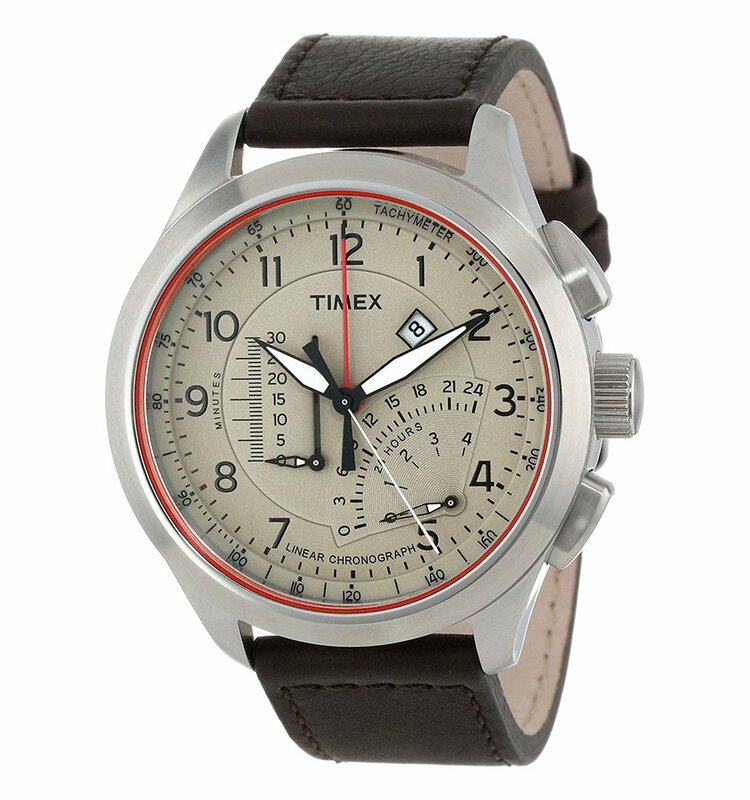 The everyday watchmaker offers a series which incorporates a pair of secondary displays for chronograph and 2nd time zone features. 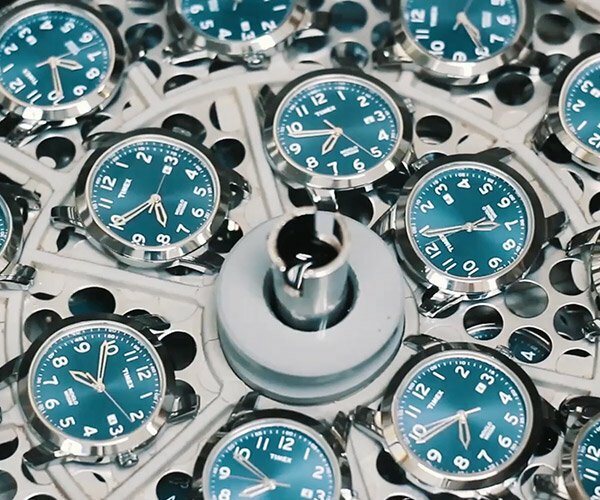 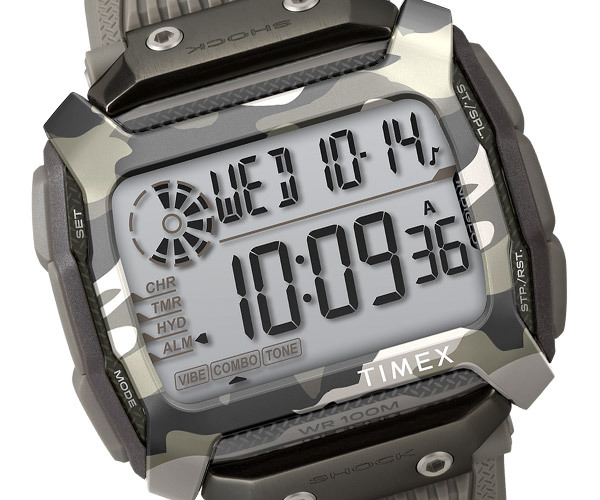 The resulting design gives the watches a super technical look. 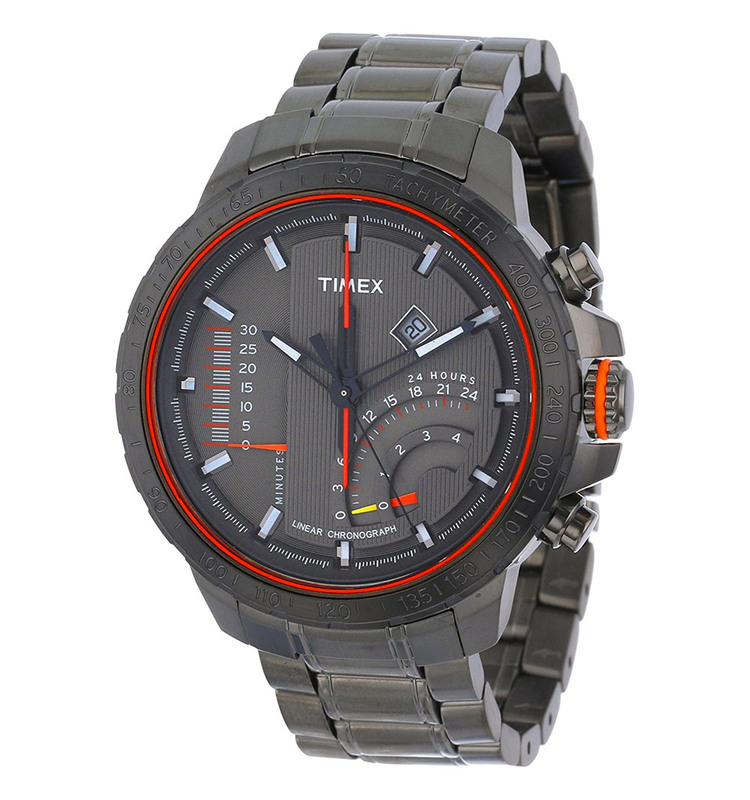 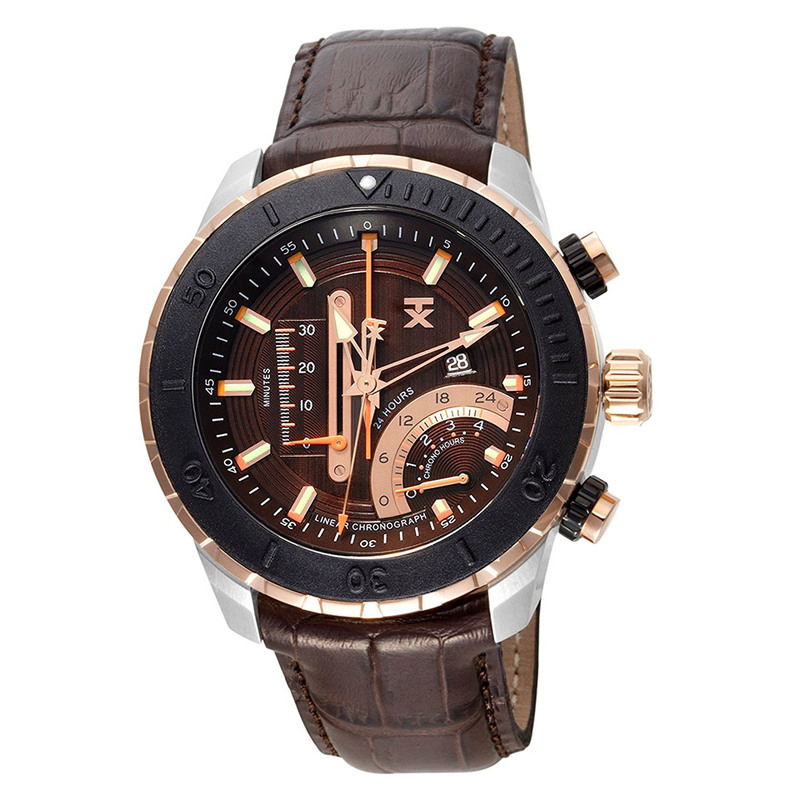 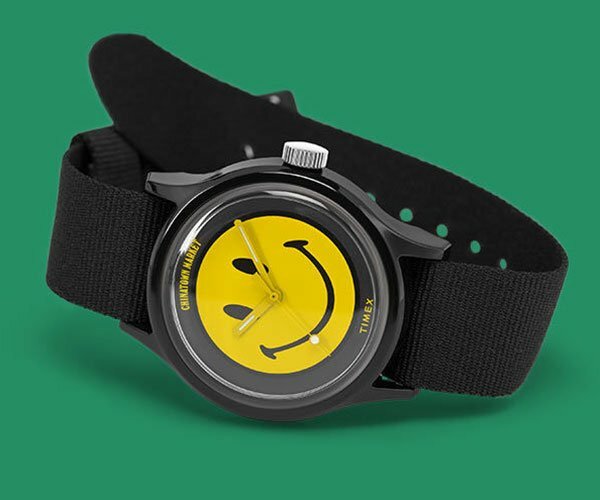 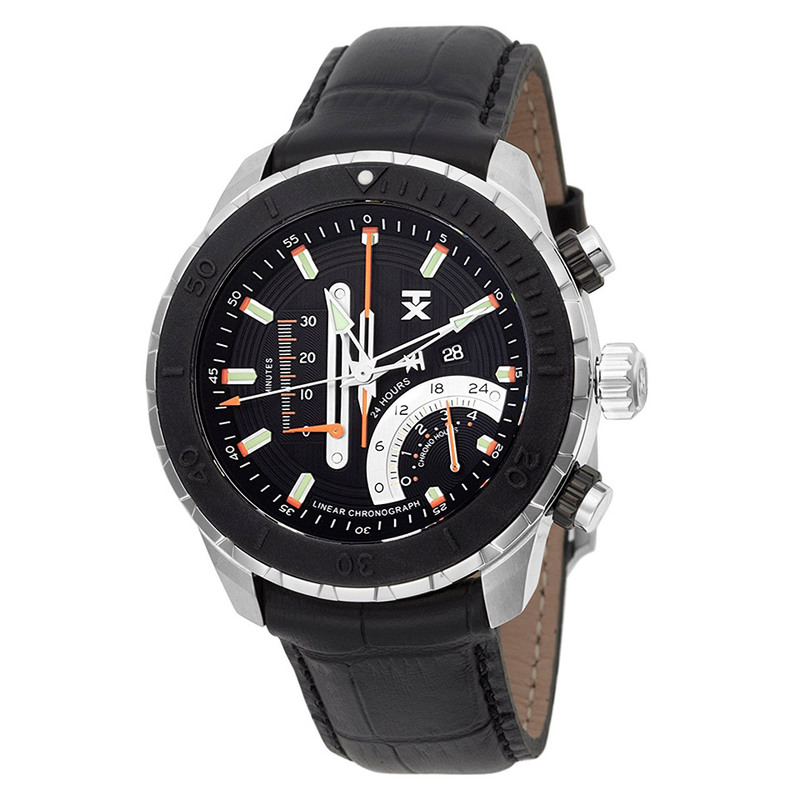 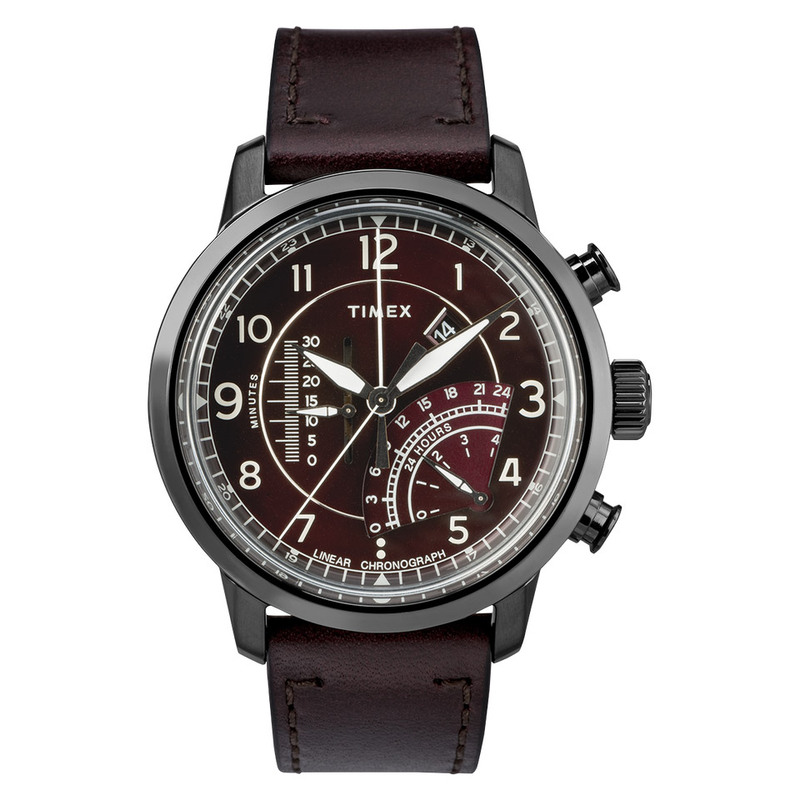 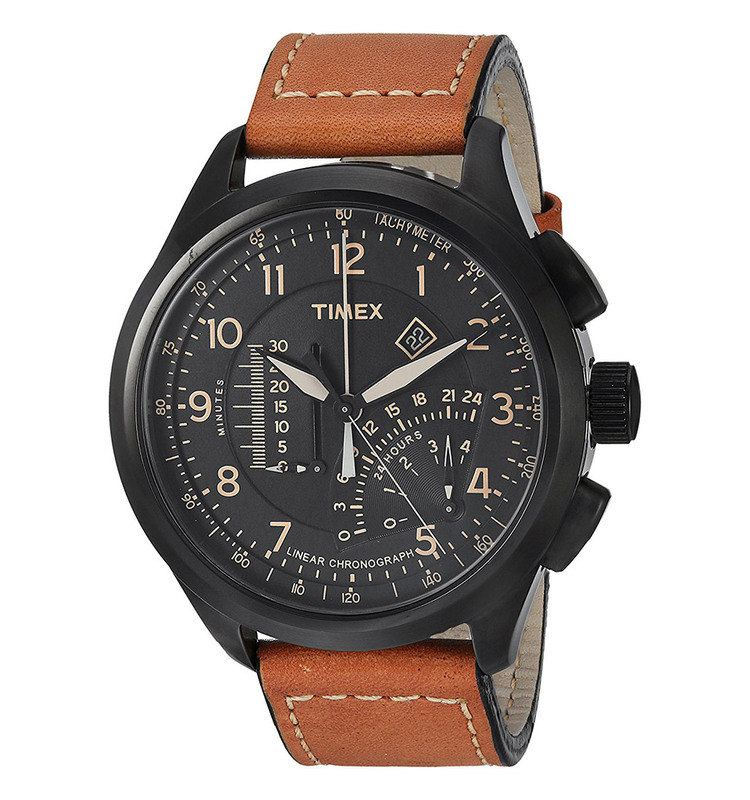 There’s also a sweet gunmetal edition with a dark red face on Timex’s website.